The Barracuda CloudGen WAF detects all inbound web traffic and blocks SQL injections, cross-site scripting, malware uploads, volumetric & application DDoS, or any other attacks against your web applications. It also inspects the HTTP responses from the configured back-end servers for data loss prevention (DLP). The integrated access control engine enables administrators to create granular access control policies for Authentication, Authorization & Accounting (AAA), which gives organizations strong authentication and user control. The onboard L4/L7 load balancing capabilities enable organizations to quickly add back-end servers to scale deployments as they grow. Its application acceleration capabilities, including SSL offloading, caching, compression, and connection pooling, ensure faster application delivery of web application content. 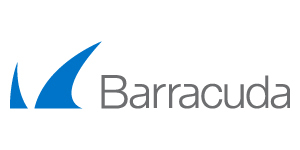 The Barracuda CloudGen WAF supports autoscaling and bootstrapping. Detects and blocks SQL injections, cross-site scripting, malware uploads, volumetric & application DDoS, or any other attacks against your application. Authentication and access control gives organizations strong authentication and user control. Scans outbound traffic to detect sensitive data, and can either mask or block the information from being leaked out. Application acceleration capabilities, including caching, compression, and connection pooling for faster application delivery of web application content.